Monrovia – The Traditional Council of Chiefs and Elders has agreed to work with advocates and put an end to female genital mutilation (FGM) but they want more time for consultations with traditional communities. Making the concession recently at programs marking the observance of the International Day of Zero Tolerance for FGM, Chief Momo Kiazolu lauded anti-FGM groups for reaching out and including them in the process. Chief Kiazolu, who spoke on behalf of his boss Chief Zanzan Karwa – the head of the Traditional Council of Chiefs and Elders – , said traditional leaders exclusion from the awareness gainst FGM created the delay in ending the menace. Now that they have been recognized, he assured that the “harmful” tarditional practice will be curb based on rigorous consultation across the country. “When they started this process of FGM, they did not start with the traditional people but went ahead and were doing their own thing, but they were wasting their time,” he said. “We are part of the global community, we cannot say no to them if they say yes because we will not stand. So, we are already in the process. Giving the overview of the program, the Head of Women Solidarity Marian Deah stated that the observance of the day was meant to create more awareness on the issue of sexual gender-based violence and harmful traditional practices. The event was also intended to urge state actors take appropriate measures in addressing violence against women. She affirmed that even though the practice of FGM has been a part of the culture of society, all parties involved have agreed to dialogue. “it is true that this practice has been a part of our way of life but we are now agreeing to a dialogue with our traditional leaders on how we can end this together,” Madam Deah noted. 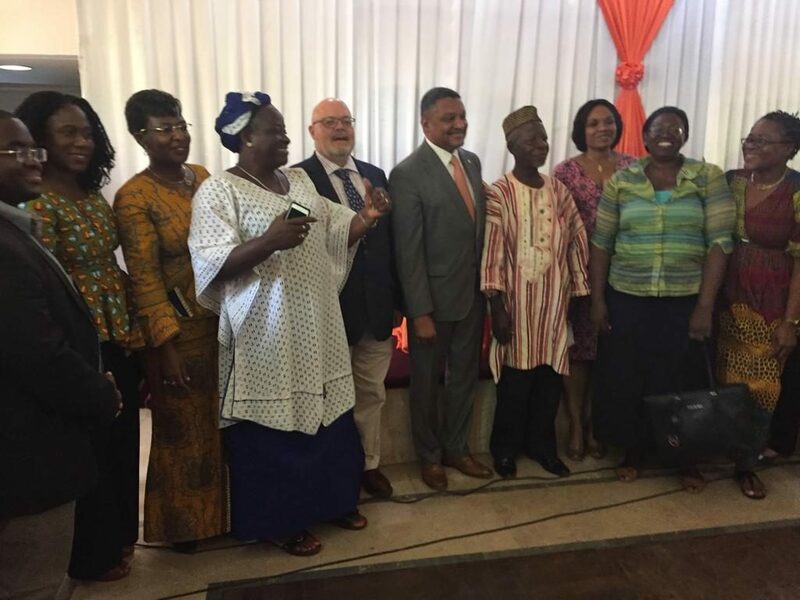 Catherine Moorehead, Country Director of PLAN international, revealed that 35,000 young women and girls have been subjected to the harmful practice and stressed that the gathering of every participant was to join efforts and calling for the end to FGM in Liberia. She stressed that FGM violates girls rights as it relates to sexual and reproductive health, body and integrity and the rights to be free from cruel and torture. “Even in places where the practice is illegal, if a girl is not been initiated, she is likely to face stigma in the community. And in many contexts as we know it is essential for marriage. FGM can have tragic consequences on a girl’s future in the aspect of sexual reproductive health causing infidelity and complications which can lead to the death of a baby or the mother,” Moorehead said. She furthered that even though times are changing, and girls are being educated increasingly about their rights and their body with advocates spreading awareness of the harmful practices of FGM, there is still a need to recognize that this practice is still prevalent in Liberia. “To my colleagues in the government, I say we must do more. We call on state actors to ensure that girls are protected against all practices which affect their health,” she said. Giving the background of FGM in Liberia, the Country Director of International Rescue Committee (IRC) Faith Cooper, described FGM as a “silent weapon that is killing women and girls”. She then called for a concerted effort in ending the “harmful” traditional practice. “It requires a whole of society’s approach to eliminating FGM. It requires us as a community, as partners, women, men, children, the government, policymakers… we all need to come together. We cannot afford to be quiet anymore, as a matter of fact, we need to make an even louder noise,” she said. United Nations Sustainable Development Goals (SDGs) Five calls for an end to female genital mutilation by 2030. SDGs’ goal five focuses on gender equality, eliminating all harmful practices such as early and forced marriage.